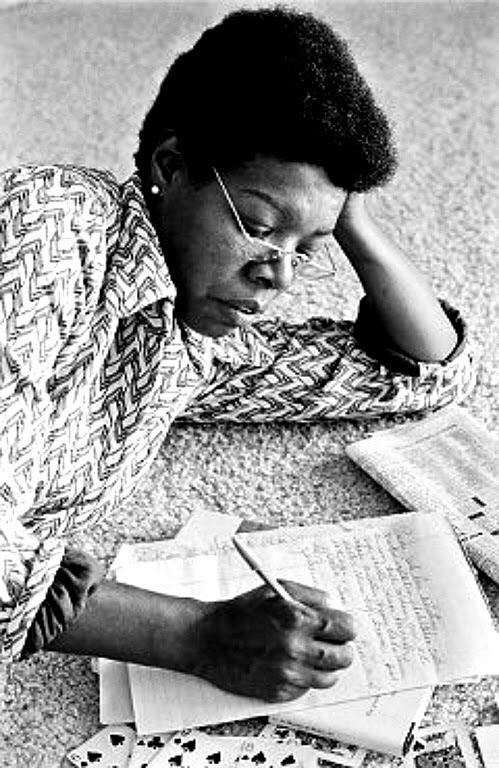 As detailed in Ode to a Legend: 21 Inspiring Facts about Maya Angelou, the poet and author, Angelou was a woman blessed with wisdom who rose from poverty to a legend. The self-proclaimed Phenomenal woman left behind wisdom that history will continue to salute. More so, personally, her quotes have continually inspired me. In penning this post, the difficult task was narrowing down the quotes to the "most inspiring". Evidently, I could only get it to "40 to remember" because honestly, every word she spoke or wrote was worth a gazillion bucks. 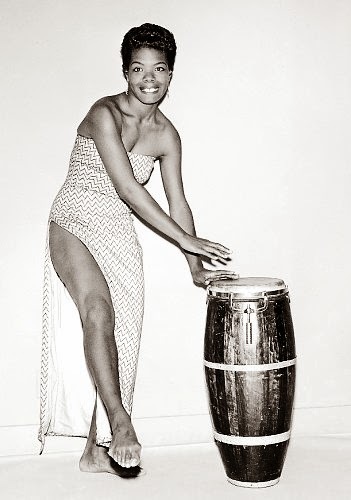 Maya Angelou, we salute you. Thank you for "being"......and for giving us words we could live by. 1. Never make someone a priority when all you are to them is an option. 2. If you don't like something, change it. If you can't change it, change your attitude. 3. I've learned that people will forget what you said, people will forget what you did, but people will never forget how you made them feel. 4. While I know myself as a creation of God, I am also obligated to realize and remember that everyone else and everything else are also God's creation. 5. My great hope is to laugh as much as I cry; to get my work done and try to love somebody and have the courage to accept the love in return. 6. Love recognizes no barriers. It jumps hurdles, leaps fences, penetrates walls to arrive at its destination full of hope. 7. Nothing will work unless you do. 8. Courage is the most important of all the virtues, because without courage you can't practice any other virtue consistently. You can practice any virtue erratically, but nothing consistently without courage. 9. Perhaps travel cannot prevent bigotry, but by demonstrating that all peoples cry, laugh, eat, worry, and die, it can introduce the idea that if we try and understand each other, we may even become friends. 10. Try to be a rainbow in someone's cloud. 11. Prejudice is a burden that confuses the past, threatens the future and renders the present inaccessible. 12. It is time for parents to teach young people early on that in diversity there is beauty and there is strength. 14. When someone shows you who they are, believe them the first time. 15. There is no greater agony than bearing an untold story inside you. 16. All great achievements require time. 17. We may encounter many defeats but we must not be defeated. 18. Bitterness is like cancer. It eats upon the host. But anger is like fire. It burns it all clean. 19. You are the sum total of everything you've ever seen, heard, eaten, smelled, been told, forgot - it's all there. Everything influences each of us, and because of that I try to make sure that my experiences are positive. 20. One isn't necessarily born with courage, but one is born with potential. Without courage, we cannot practice any other virtue with consistency. We can't be kind, true, merciful, generous, or honest. 21. A wise woman wishes to be no one's enemy; a wise woman refuses to be anyone's victim. 22. I'm convinced of this: Good done anywhere is good done everywhere. For a change, start by speaking to people rather than walking by them like they're stones that don't matter. As long as you're breathing, it's never too late to do some good. 23. If you have only one smile in you give it to the people you love. 24. I learned a long time ago the wisest thing I can do is be on my own side, be an advocate for myself and others like me. 25. I know that when I pray, something wonderful happens. Not just to the person or persons for whom I'm praying, but also something wonderful happens to me. I'm grateful that I'm heard. 26. I think we all have empathy. We may not have enough courage to display it. 27. We allow our ignorance to prevail upon us and make us think we can survive alone, alone in patches, alone in groups, alone in races, even alone in genders. 28. You may not control all the events that happen to you, but you can decide not to be reduced by them. 29. What is a fear of living? It's being preeminently afraid of dying. It is not doing what you came here to do, out of timidity and spinelessness. The antidote is to take full responsibility for yourself - for the time you take up and the space you occupy. If you don't know what you're here to do, then just do some good. 30. If we lose love and self respect for each other, this is how we finally die. 31. I work very hard, and I play very hard. I'm grateful for life. And I live it - I believe life loves the liver of it. I live it. 32. Whatever you want to do, if you want to be great at it, you have to love it and be able to make sacrifices for it. 33. If you're serious, you really understand that it's important that you laugh as much as possible and admit that you're the funniest person you ever met. You have to laugh. Admit that you're funny. Otherwise, you die in solemnity. 34. I love to see a young girl go out and grab the world by the lapels. 35. If you find it in your heart to care for somebody else, you will have succeeded. 36. A cynical young person is almost the saddest sight to see, because it means that he or she has gone from knowing nothing to believing nothing. 37. I am a Woman. Phenomenally. 38. During bad circumstances, which is the human inheritance, you must decide not to be reduced. You have your humanity, and you must not allow anything to reduce that. We are obliged to know we are global citizens. Disasters remind us we are world citizens, whether we like it or not. 39. Nothing can dim the light, which shines from within. 40. Everything in the universe has a rhythm, everything dances. Source: BrainyQuote and USA Today.